The Embassy of Denmark in the Philippines proudly presents the 4th Danish Film Festival in Manila from November 8 to 11. Nine (9) carefully chosen full-length films will be hitting the screens, four of which for the first time ever in the Philippines. This is your chance to enter into the peculiar yet realistic, and uncharacteristically influential realm of Danish cinema. 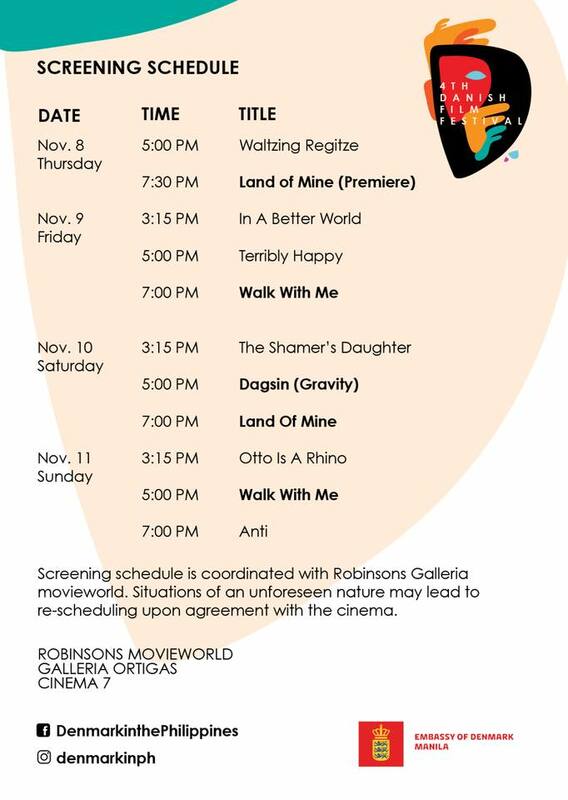 Venue of all screenings will be held at Robinson's Movieworld at Robinson's Galleria in Ortigas, Pasig. Admission is FREE on a first come, first served basis. The opening film will be Under Sandet (Land of Mine), best non-English Oscar nominee starring Roland Møller and Mikkel Boe Følsgaard directed by Martin Pieter Zandvliet. As part of Danish and Philippine cultural relations, a special screening of Dagsin, a multi-awarded indie film by Filipino filmmaker Atom Magadia. Inspired by the ideas of Danish Philosopher Søren Kierkegaard and French Existentialist Albert Camus will be shown during the course of the festival. 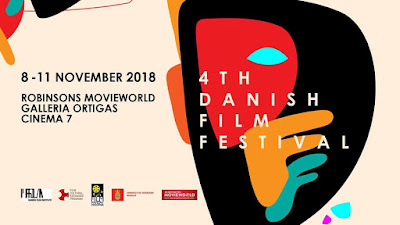 The 4th Danish Film Festival is organized by the Embassy of Denmark in the Philippines in partnership with Robinsons Movieworld with the support of the Film Development Council of the Philippines through its Film Cultural Exchange Program, and the Danish Film Institute.